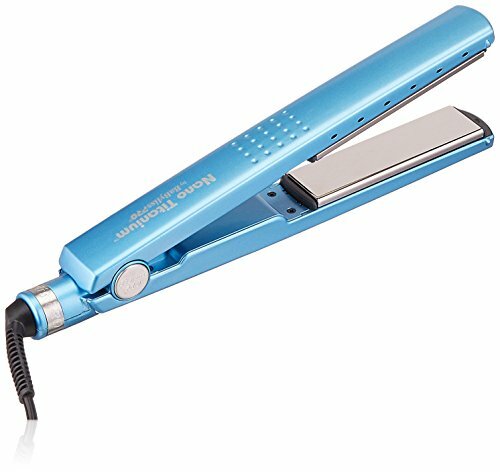 Why is the BaBylissPRO Nano Titanium-Plated Straightening Iron so Effective at Straightening Hair? Are you familiar with BaBylissPRO hair styling products? Well if you are not you should be because most all of their heated hair styling products work well and are very highly rated. That is why we are always interested in taking a closer look at products like the BaBylissPRO Nano Titanium-Plated Straightening Iron when we start to hear good things about them. Read along with us as we take a closer look at what is said to be a professional flat iron to use on any type hair. The list of nice features you get with this flat iron purchase is a long one. It all starts with the really nice 1 ¼” wide Nano Titanium plates. 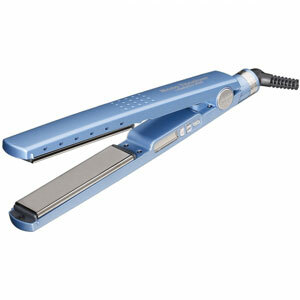 They heat up fast and even and they also will help keep your hair from getting damaged as you straighten it. The plates on it are 5-inches long which is longer than you see on most flat irons. The digitally selected working temperature range is really great too. You can choose to use this flat iron at any temperature between 300ºF – 450ºF. It’s ready to use in under 30-seconds time too. The handle is also specially designed to stay cool as you use it. That means there is no need to use a protective styling glove when operating it. The housing is made of innovative Ryton heat-resistant plastic. 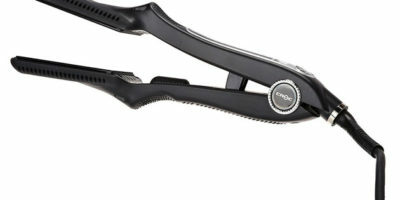 At 16 ounces this flat iron is really lightweight and easy to handle. It also features an 8-foot long power cord with swivel end. This will give you much freedom of movement when using it. The design of this flat iron nicely curls the edges of it for easier styling and there is a built-in auto-safety shutoff too. One of the reasons this flat iron is so nice to use on your hair is because it features some very low-temperature settings. The lowest temperature setting of which is only 300ºF. That is a good safe operating temperature if you are straightening your medium or fine hair. The Nano titanium technology it has built into it is great for hair too. Titanium helps the barrel heat quickly and evenly so there are no hotspots that will damage your hair. Nanoplate infusion is nice to have too. It will help your hair retain more of its critical moisture than any other type of barrel infusion. Nanotechnology also helps to reduce the amount of frizz in your hair. This flat iron comes with a very good product warrant. BaBylissPRO will stand behind for 4 –years from the time of purchase. There were some things we did not like about this flat iron too. Its temperature controls are located on the side of the flat iron. That makes it a little awkward to change temperatures while straightening hair with this flat iron. You have to stop using it in order to change the temperature. Some users do not like the feel of the longer 5-inch heating plates when using this flat iron. As usual, we all liked this BaBylissPRO product. It is a very well-designed flat iron, to say the least. 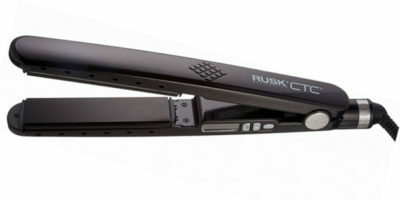 We found very little to complain about it and it has a long list of handy flat iron features. The 1 ¼” wide Nano titanium plates make it a versatile hair straightening and curling tool and the wide range of temperature settings are nice to have too. The stay-cool Ryton housing is fairly unique for a flat iron and the 4-year warranty really puts it over the top for us. We think most everyone would be really happy to own this great working flat iron. Best-Selling Professional Flat Iron Reviews!